Summer heat is one of the 6 exogenuos pathogens that invade the body causing disease. Summer heat is unique in that it only occurs in summer like temperatures or the summer season. Anhidrosis is a classic form of summer heat in the horse. 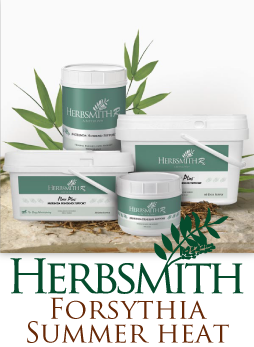 The herbs in Herbsmith Rx Forsthyia Summer Heat are herbs used to clear summer heat.